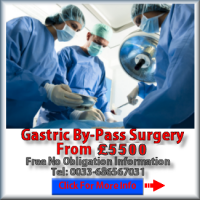 Gastric Band Surgery France | Which Bariatric Surgery Option Is Best ? Which Bariatric Surgery Option Is Best ? This Generally the most obvious choice as the surgery is relatively simple, less invasive with low side effects and low risk for most patients. Gastric Band Surgery is also easily reversible as the Lap band can be removed as and when required. 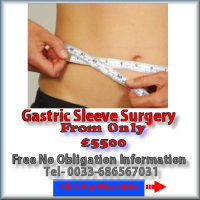 However on the down side in general terms there may be less weight loss with the lap band, and in the long term you will be required to have the Gastric Band filled regularly by a qualified person to maintain the successfulnes of the procedure. In this surgery, half the stomach is actually removed, and depending on your age and other factors, you might opt for the gastric sleeve. A gastric sleeve entails the removal of part of the stomach like the old stomach stapling. By removing part of the stomach you have the restrictive action of the pouch in a similar way to which a gastric band works by resticting the volume of food you can consume at any sitting. Weight loss is a little less than offered by a gastric Bypass but otherwise less complications. This type of Surgery is Non-reversible. With a gastric Bypass the entire stomach is bypassed by surgery which reduces the volume of food which the body can absorb. The weight loss effect with this type of surgery is more effective than other procedures with generally good long term effects. On the downside you will be required to take vitamin and mineral supplements for the rest of your life to replace nutrients lost through the bypass. A Bypass is Not reversiible. You can find out more about the these procedures by clicking the Image of the surgery option of interest to you below.